Video – how important is it? We know that video is hot for both informing and attracting our clients, for web site ranking, and for entertaining. This recent study shows that almost 96% of South Koreans that go online stream digital video at least weekly. Every week! Okay, you say so what, your not in Korea or marketing strictly to Koreans? Good call, but here’s the thing, the Asian countries have led the Internet adoption wave from early on. They has set the trend. And you can see it in the survey. Again you say so what? That’s them not us? I gotcha. What if the US estimate is 77.3%? Right. So while nearly 96% of all south Korean Internet users stream video at least once a week, here in the States, it’s “only” 77%. 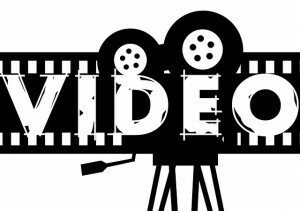 Yup, you’re right, there’s no need to use video to market your business and expertise. NOT! So, I guess that means I need to start making some videos for you all to consume. I’ll add that to my ever growing list of ways to improve my business – how about you? Let me know in the comment below.